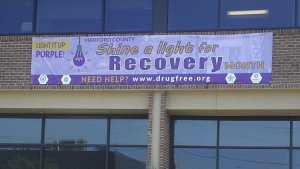 (The following article was published in The Aegis by the Harford County Health Department in conjunction with the countywide observance of Shine a Light for Recovery Month during September). My name is Megan K. and I am a recovering opiate addict. If there is one point that I hope to make in this space it is that addiction can happen to anyone, and fortunately, so can recovery. r a kid from a Maryland suburb, by 2013 my life was anything but normal. In 2012 I started using opiates. Even though everything from the outside looking in seemed to be average for a 23-year-old, I was filled with fear and anxiety and I had a very dark secret that was killing me. I was an addict. my addiction was no longer a secret, in about three and a half years my life had spiraled so far out of control that I didn’t even recognize myself. I was ashamed and mortified by all the things I did to protect and conceal my addiction, and I had isolated myself from family, friends, and anyone that could offer me any help. My bottom looked like being in physical withdrawal daily, living on an animalistic level and causing the people that I loved the most immense grief. At this point, I was hopeless, and I wanted to overdose. I was facing a court date for theft charges due to my actions while I was using. 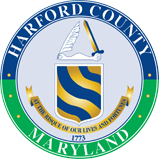 Fortunately, just before my court date I received a letter from the Harford County Health Department that my case had been flagged for drug use. If was willing to receive treatment, I could enter into a program call “Opiate Recovery Court” and receive treatment. If I could comply with the program, which mandated me to remain substance free I wouldn’t be incarcerated. I enrolled in the opiate recovery court program in December of 2016. By January it was clear to both the court and the health department that I was desperate to stop using, but I could not stay clean on my own. The health department arranged for me to go to a 14-day inpatient detox center, so I could be liberated of my physical dependence on opiates. When I got back from that detox center, I tried to take advantage of every single resource the Health Department offered me. They had suggested I go into a long-term sober living house, one of the most structured programs in the state. I went to that house. ment arranged for me to attend both group and individual counseling several times a week. The counselor at the health department would report back to the courts regarding my progress and compliance. One day at a time, I stayed clean and progressed in my recovery. The treatment I received at the health department was compassionate and informed. They didn’t see me as a number on board, or a “pathetic junkie”. They helped me see that my drug abuse was a symptom of a bigger problem. Addiction is a disease of the brain, and not a moral failing or a result of weakness. I had spent years self-medicating over traumatic events that I was never honest about until I started seeing a counselor at the health department. Building relationships in early recovery was not easy, but the staff at the health department were patient and encouraging. I believe that the relationships I built with the staff there had a profound impact on the progress I started to make in my recovery. Early recovery contained multiple challenges, but I remained engaged in treatment and I began to experience a change from the inside out. I worked hard to take responsibility for my actions and to do anything I could to clear up the wreckage I had caused during my drug use. My clean date is January 13, 2017, I have been substance free since that date. Over the past year and half, I have worked through all the phases of treatment at the health department, completed the opiate recovery court program successfully and graduated the yearlong recovery house I entered straight from detox. hs clean, I have been working as an employee of the health department for about five months. I continue to stay engaged in my recovery and I try to help others navigate the same path that I walked when I first entered treatment. I am filled with gratitude every day to have been given what I know is a second chance at life, and what I am pretty sure may have been my last chance to get help. It is supremely rewarding and humbling to be employed by the same facility that provided treatment to me. Almost two years ago I was hopeless and wanted to give up. I thought there was no way I could change, and I thought I was worthless. What recovery has taught me is that I am worth more than the misery of active addiction, and I have a purpose, to help other people that are suffering. Without the guidance and support of the staff at the Harford County Health Department I wouldn’t have that kind of perspective on my recovery. If anyone reading this is in a hopeless place, weather you are an addict, or you love an addict, my message is this: you are not alone. There are people in this community that have the knowledge, experience and resources to help you. There is hope, and you matter. Don’t give up.